To join a survey team, email environment@inlandbays.org or call (302) 226-8105 x 112.
around the three Bays and their tributaries. 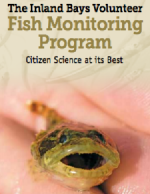 2011 was the first year of this long term study that will track the changes in the fish community over time. What’s it like to do a Survey? 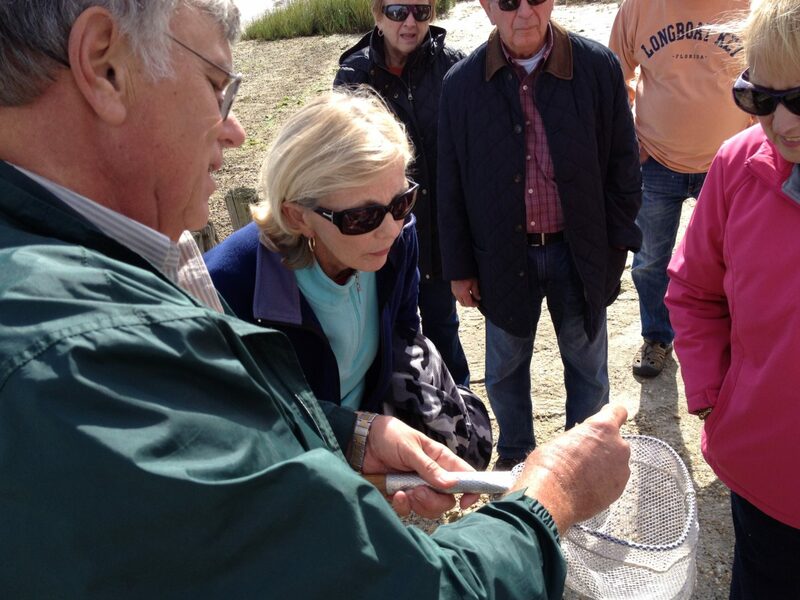 The project is completed by multiple teams of 3 to 5 volunteers which sample the sites using seine nets. The teams use 30 foot nets to capture fish which are identified, counted, measured, and returned to the Bays. With more than 100 species of fish known to use the Bays (48 collected in 2018! ), teams never know what they will find. at environment@inlandbays.org or 302-226-8105 ext. 112. You will need to fill out a Liability Waiver for each individual or family member participating and give it to the Team Leader prior to your survey. Please note: Individuals under the age of 18 must have an adult chaperone on-hand at all times. 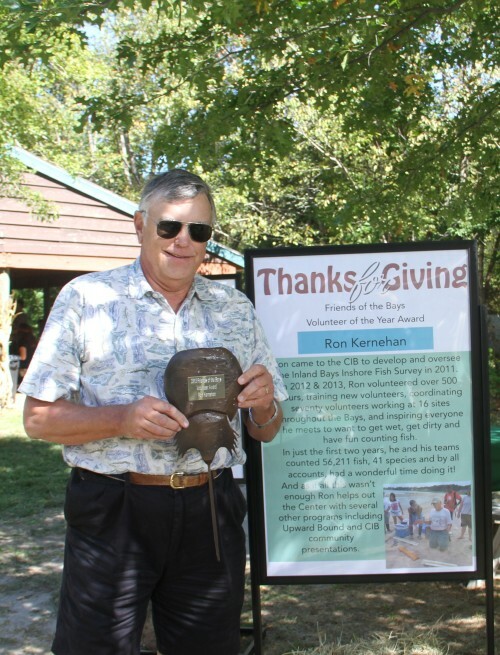 On Tuesday, August 18, 2015, members of the Inland Bays Fish Survey and staff gathered at the Delaware Center for the Inland Bays to remember and honor our friend and colleague Ron Kernehan. View the slide show. | Watch Ron in action. | Read our remembrance.